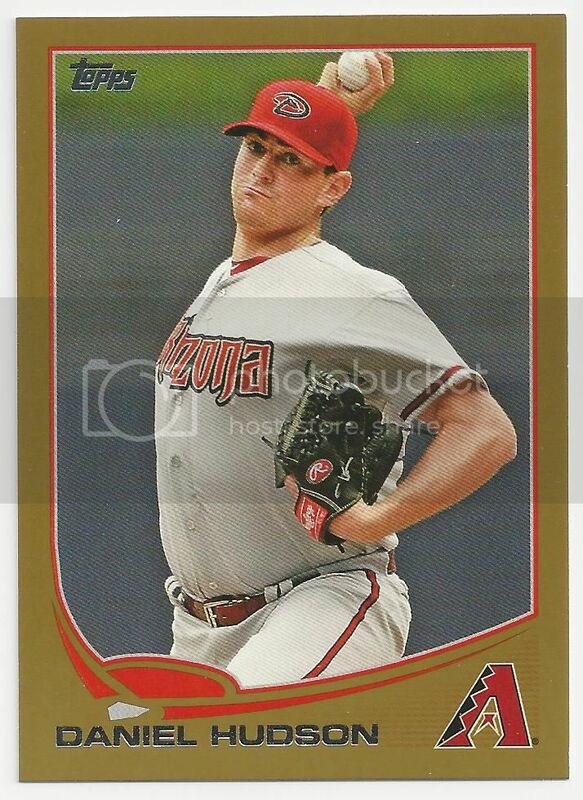 Think you've seen this Daniel Hudson gold border parallel card on our blog before? Nope. That was the regular sized gold border parallel. This is the mini. It's little and is numbered 62/62 on the back. eBay 1/1!!! The gold border parallel is the classic parallel. It's where it all started and just has a royal feel to it. Like if Prince Henry had a baseball card collection, I'm sure he would just own gold border parallels.